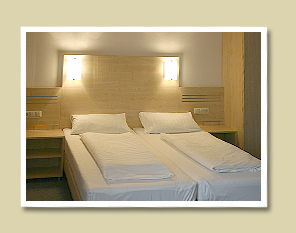 Simple and convenient double room STANDART. Some rooms with balconies. The room has a television, telephone and Internet. Toilet with shower and a hairdryer. 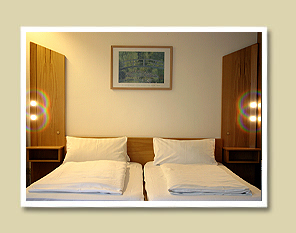 SUPERIOR Double room types are more spacious and comfortable. Complemented by soft furnishings and coffee table. Bathroom with bath. Some rooms with balconies. 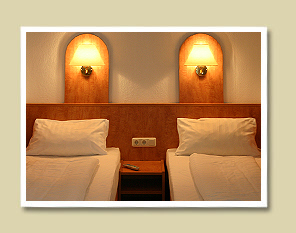 Luxurious, large room DELUXE added comfortable furniture. Big TV, telephone and Internet. Bath with tub and hair dryer. Some rooms with balconies.